I mostly screen print my wallpapers. 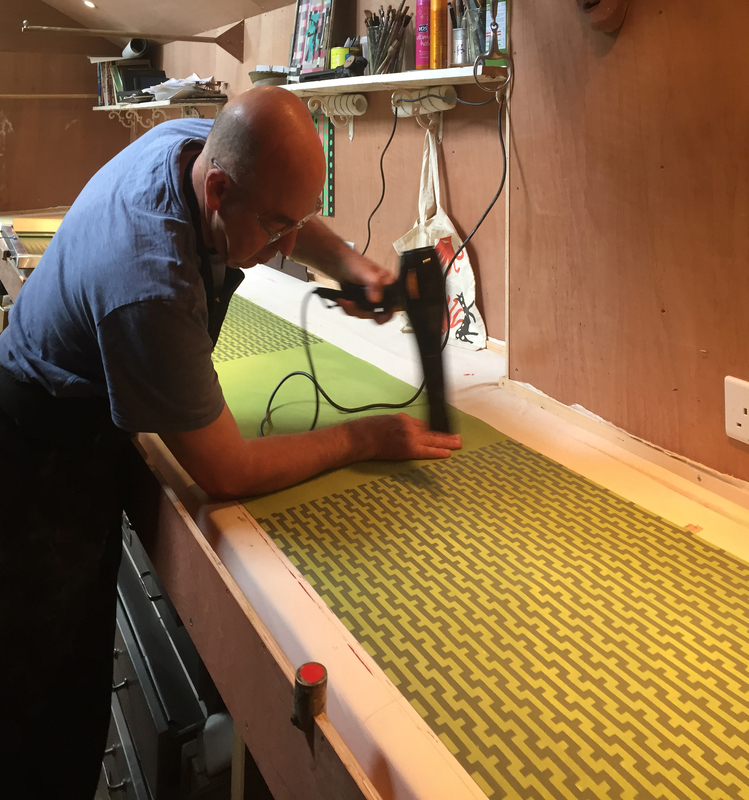 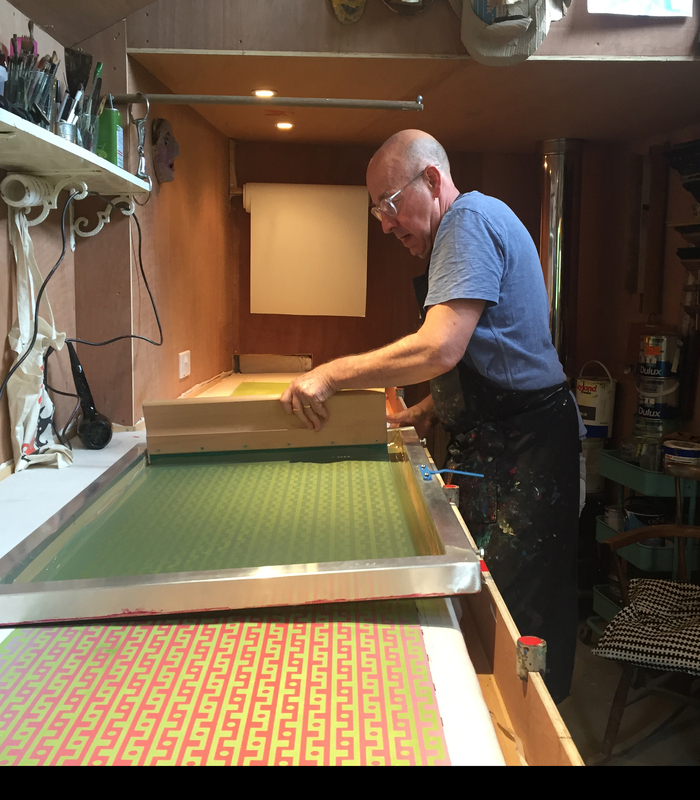 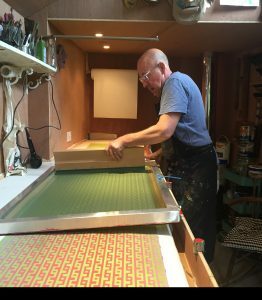 Flat bed hand screen printing is ideally suited for lower volume production and sampling, and often used by makers like myself. Although screen printing is still used by higher volume commercial printers, these rotary machines (the small cylindrical screens rotate round the squeegee) compete with digital and other processes. 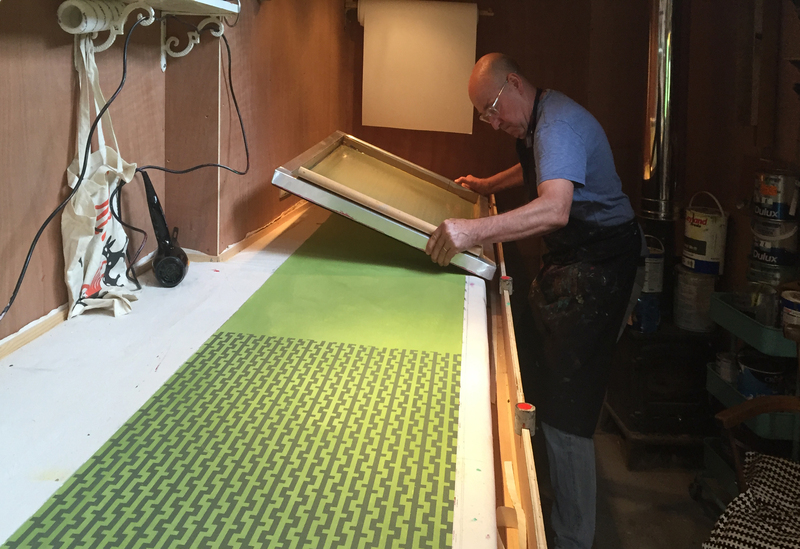 The larger scale of hand printing processes – both screen and block – allow for more complex designs with longer repeats; though digital printing can do this too its bland surface disappoints .